I meant to say “carnitas tacos” but a second photo shoot was out of the question. The pork was all gone! I do have a recipe to share with you today but before I get to it, I wanted an opportunity to unload a thought or two about my blogging experience these last (almost) two years. Will I offer any useful information? Maybe…but this is a confessional. I have always suspected that I have a mildly obsessive personality (disorder?) but I never could convince myself of this fact until I started blogging. 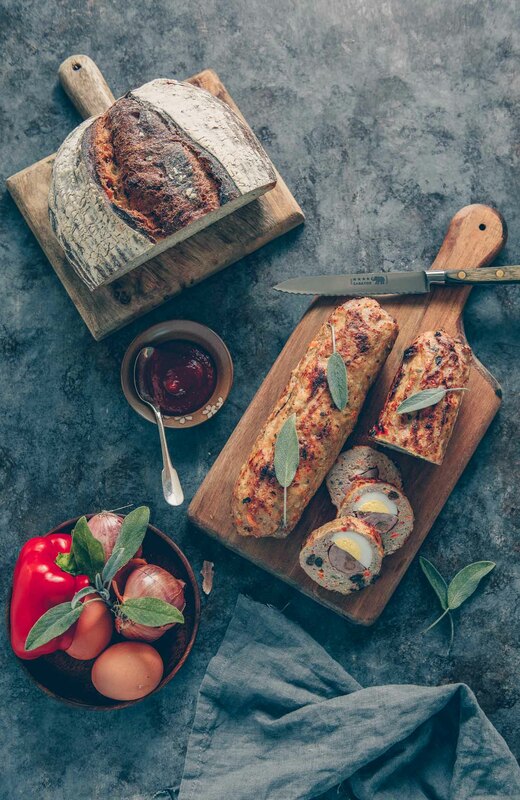 I have found each aspect of food blogging enjoyable–cooking, photography and writing–regardless of the amount time it demands at times to keep it going. Selfishly, I consider it my me project, a form of expression that I have grown comfortable with considering a big part of me is shy and private by nature. What I didn’t expect was to become so involved in the ancillary aspects of blogging. I have mentioned a few times that blog props have become a recent obsession and I know I am not alone in this. These days when I visit a shop I find myself spending more time in the housewares department than in any other. In other departments, I am always on the lookout for interesting pieces that might tell a good story. Do you spend time thinking about how you will style your next post? I seem to be doing this more and more. I am inspired by all the bloggers who do such a wonderful job post after post and I am motivated to do the same. I am hooked. Besides the props, I have been obsessed with colored backdrops for my food photos. Though my favorite background is still the teak bench I’ve used in many of my posts, an outdoor photo shoot isn’t always practical. Hence, in the last few months, Home Depot has captured my attention for tools I can use to make indoor shoots more interesting. I have been playing with color, painting boards (above) to try to get a tone-on-tone look to my food shots that I haven’t quite been successful at capturing. You might notice that I have not shared many posts using these colors but I’m determined to make them work. You see, I have learned to use the manual setting of my camera only in the last six months. Just as I became accustomed to taking pictures one way, these colors started to pose a bit more of a lighting/exposure challenge. Is it bad that I will not share a recipe because I consider the photo shoot a fail? I really should be focusing more on getting my lighting right during winter. For example, in some of my food shots below, I forgot to turn off a nearby lamp and I didn’t notice that some of my images became over-exposed until during processing. No amount of editing could fix them. But I am sharing them today anyway. I have also been experimenting with texture. Until the last few months, I didn’t realize how easy it would be to purchase wood pieces at Home Depot. They will cut the pieces to your specifications and sample-size paints are inexpensive enough that playing with different colors doesn’t have to cost a fortune. The web is also a treasure trove of handy tips. 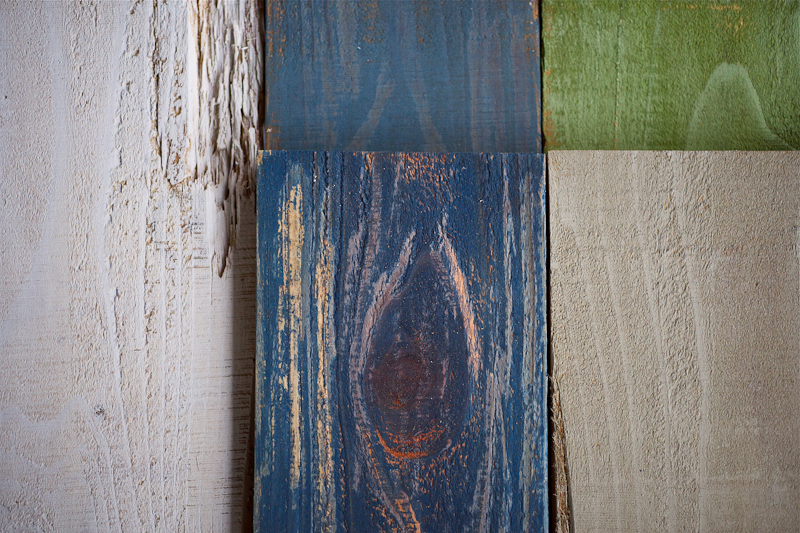 You can achieve that distressed look that is so popular by using Vaseline or candle wax when painting your wood pieces. And did you know that laundry bleach could come in handy? I have always liked the look of bleached wood but thought the process might be too involved. Not so. 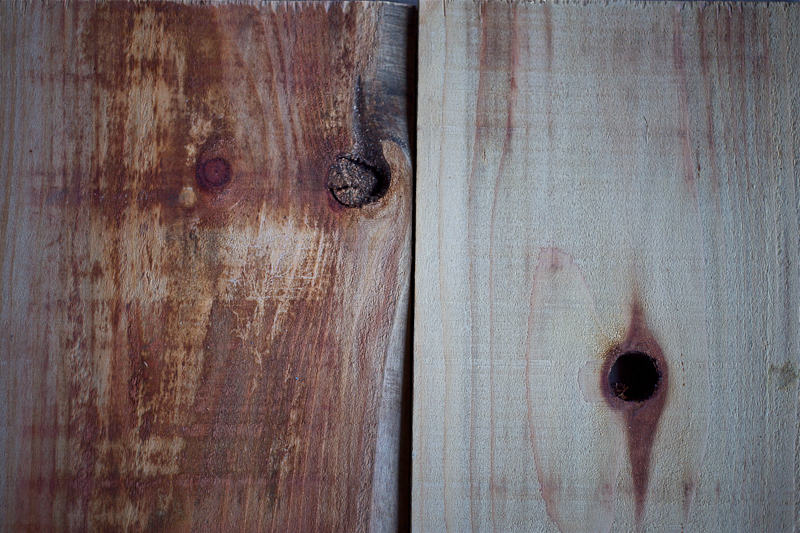 The redwood piece on the left has not been treated. I brushed the one on the right with Clorox and after a day of sitting in the sun, it had faded to a nice pale shade. The grains are still visible and while I had originally intended to paint over the bleached piece, I liked it so much that I decided to leave it as is (and used it for the photos below). The metal department has proven to be a good source, too. I really like the look of a gray palette in food pictures; a little darker, it conveys a nice wintry mood in pictures. Again, I haven’t yet achieved the look I’m after–the sheet metal looked more like copper in this post–but they were still fun to use. I will keep playing around. I share all of this with you because 1) I would put my non-blogger friends to sleep talking of boards, props and paint and 2) because there are many talented food bloggers out there whose beautiful images entrance me with each post and motivate me to keep trying to do better. I have a long way to go but gosh, this is fun! If you’re a food blogger what obsessions have made their way into your life? This is a simple recipe for carnitas (“little meats”). It is my meat of choice for tacos or enchiladas and it is very easy to prepare at home. Typically, a piece of pork shoulder is braised or roasted but over the years, I have adapted to my sister’s way of preparing hers. She doesn’t brown the meat first. Instead, she simmers it in seasoned liquid then browns the meat after the former has evaporated. The crunchy, caramelized bits of meat are my favorite pieces but this process leaves the insides of the pork moist and tender if that is what you prefer. I have taken to adding spices to up the flavor of the meat while braising in the liquid. Typical additions are cinnamon sticks, cumin, dried bay leaves, garlic and onions. The cinnamon sticks impart not only a lovely flavor but also a wonderful aroma while the meat cooks. I bought dehydrated onions once a few years ago for another recipe and in an attempt to use it up, I used it in my carnitas and liked it so much I have not looked back. Once the liquid has evaporated, I turn up the heat, sprinkle a bit of paprika on the meat and fry it until the outside is brown and slightly crisp. All you need are some tortillas (homemade really is best and very easy to prepare) and a simple salsa and you’re set for a fiesta in your kitchen. Place the meat in a pot and add just enough water to cover. Bring to a simmer over med-high heat and skim any scum that rises to the surface. When the liquid is clear, add the spices from the salt to the cumin (if using). Simmer for an hour or so, or until the meat is tender. Most of the liquid should have evaporated by this time. If not and your meat is already fork tender, just drain the liquid and return the meat to the pot. Add a bit of oil, turn the heat to med-high, sprinkle a bit of paprika on the meat and fry until the outside is brown and slightly crisp. Shred the meat before serving with tortillas and salsa. Combine all the ingredients from the mango to the salt and pepper in a bowl. Adjust and season to your liking. Serve with the tacos. Jean, your photos are beautiful, and your food, delectable. Although I do not style my posts [I have great admiration for those who do], I do plate my meal however, even without a post to follow. I’ve always been “maarte” [there, I confessed]. I think you should have a show ;-). Carnitas is just about my favorite thing to eat in all the world – yours looks wonderful – I like the addition of cinnamon. I am a food blogger too, but I don’t spend enough time stocking up on the photo props…. my obsession is thinking of new ‘angles’ and insight into the written part of my blog…. I walk around writing my blog all day long in my head waiting for inspiration to strike! And it always does! My turn to confess… The cashiers at my local Goodwill know me by name, because I drop in at least twice a week to look for new props. My stash of blog dishes now outnumbers my non-blogging dishes almost 2 to 1. Packrat? Me? Never! 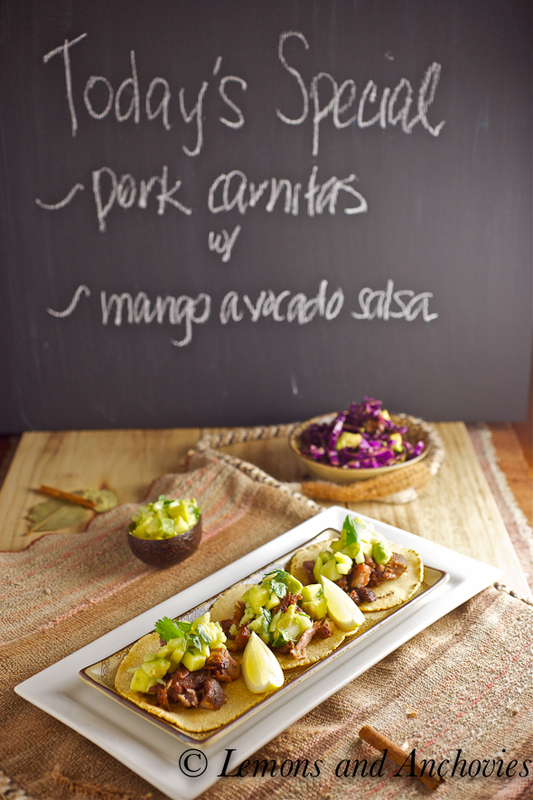 PS – Those carnitas look fabulous. Must try this soon… now that the weather’s gone all cold and snowy on us, I’ve been desperately craving sunny Mexican flavours. I’ve definitely noticed how even more amazing your photos are. I wish I could do the same…I can’t even upload any photos on my computer at the moment anyway! I love the props, so gorgeous and elegant! This looks SO great! Your pictures are fantastic and I am VERY glad you are a food blogger. Because I get to look at all your tasty stuff! 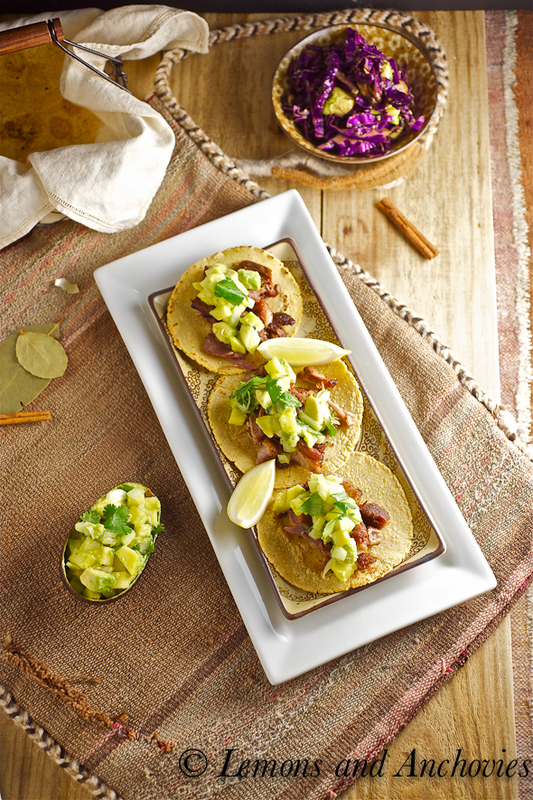 Love the wood-distressing tips, and those tacos look to die for! Gorgeous photos – I’m ready for dinner :). Delicious tacos. I always order these when eating out at my favorite Mexican place. Thanks for the recipe. Never did a taco look so welcoming. If you can send your photo obsession to me, I would be appreciative. Your photos are so welcoming and specific – your hours in housewares are well spent! Oh Girl let me telll you.My boyfriend wont even let me go into home depot. Mr Handyman can do it himself…. and Im still waiting… >.> so now I’ve had to start sneaking trips in. How crazy ins that? Sneaking off to the home depot for props… Sad but true. I have never thought to check out the metals before. I will now! 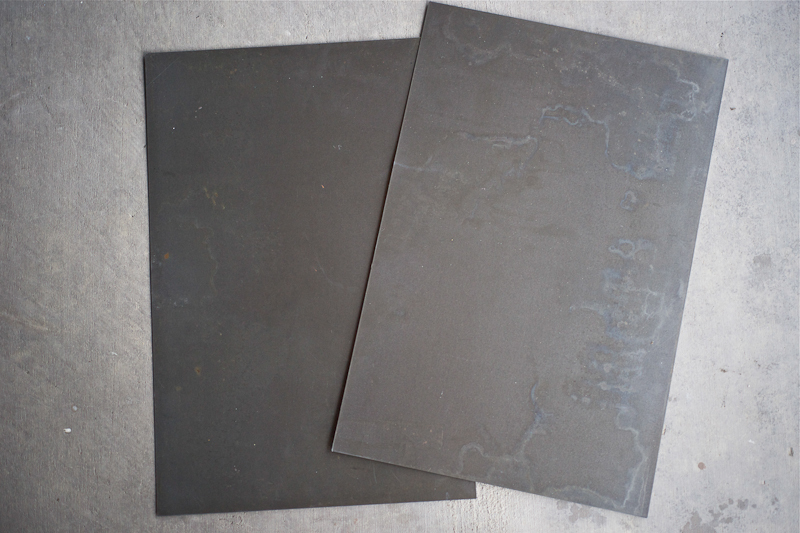 Kita, I became hooked when I realized how easy (and cheap) it would be to shop for materials at Home Depot. I don’t blame you for sneaking some visits in! It’s addicting being there now. Wow, this looks beyond delicious. 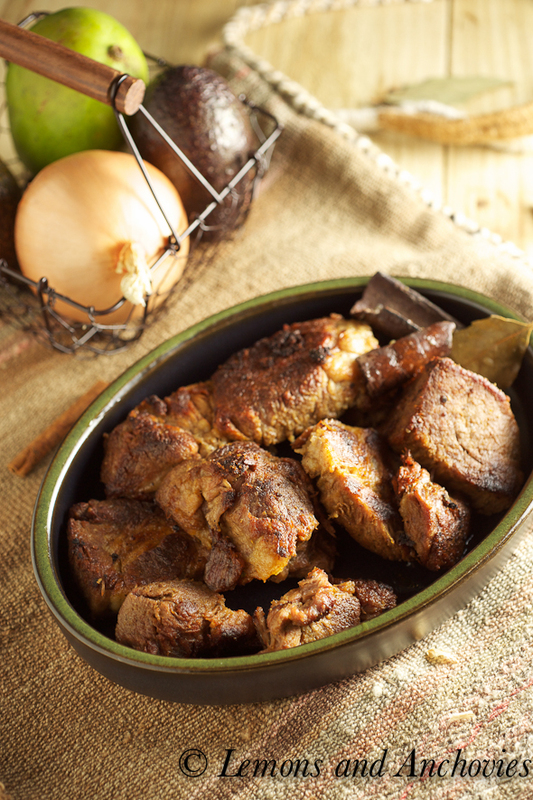 Carnitas is one of my favorite things, but I’ve never thought of making it at home – now you’ve inspired me! I think I’m just plain obssessed with my blog! LOL! I love finding others, as you mentioned, that are inspiring. There are SO many blogs out there that it’s always lovely to discover one that stands out. Even though I love to write, I really like posting large photos on my blog because I think that’s what really draws people in. If they aren’t intrigued by the photos, they aren’t going to take the time to read what we’ve written. I love it when I can use my Depression Glass and other antue pieces in my photo shoots. Thanks for the inspiration! And the great recipes! I agree with you about the large pictures and also seeing some of your favorite pieces appear on the blog. It’s part of what makes it all fun! The carnitas is super easy to make–I urge you to try it! I think all of us are blog obsessed as well as food obsessed, photography obsessed and kitchenware obsessed all at the same time. Great photos I love the chalk board. That salsa sounds amazing!! Oh to be obsessed! I am with you! Yesterday I was driving around town and was at a stoplight behind a truck full of old wood. I was seriously tempted to flash my lights and beg for a few pieces! I really should just go to Home Depot like you. I am in awe of how you have gone manual with the camera…wow. So in awe! Ok, now let’s get this party started with the carnitas. They look perfect! Oh, Liren, you made me laugh out loud! I am forever on the lookout for old wood that I can use but no luck just yet. I am now, worse than ever, a garage sale prowler. I pick up little orphaned china dishes anywhere I can find them. I always think about the ladies who treasured them at one time. Every dish has its own imaginary story. The Carnitas look wonderful. And the wood colors are great. They look like art all by themselves. I like how you can see the wood grain still. The tacos look wonderful and I love your photos of them!! Jen, I have a tall pile of fabric, too. 🙂 They’ve come in really handy doubling as napkins or placemats. Did you find the tips on using Vaseline to paint wood? Here’s one link I found useful, though I used candle wax instead. Worked great! Thanks for sharing your behind the scenes stuff. I’m inspired by your blog and it’s important for you to know that you’re not alone with your obsessions. There’s obviously a sub-culture of people that truly appreciate these things. Good work! We had been craving Mexican here in Beirut; thanks for the inspiration and the great tips on photo propping! Jean – love that you posted the samples of your wood projects. From what you described when I saw you, you have simply amazed me with your painting prose. I have a blog prop obsession – my basket is growing ever fuller. I need to make a trip to Home Depot for wood and paint. Hubby can do the cutting. 🙂 Just got off the treadmill and quite hungry – those carnitas look simply divine!!! Hope you and hubby are enjoying the weekend. BTW – I ordered the photo book you suggested. Have a wonderful weekend!! Ok, now I’m craving carnitas on this rainy day in SD. 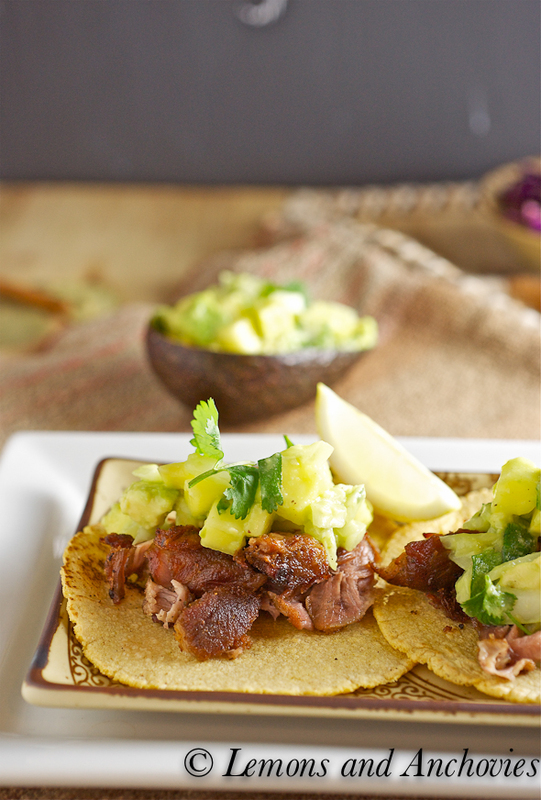 Hubbs and I love a good serving of carnitas…squeeze some lime on it with cilantro and beautiful slices of avocado – taste bud bliss! Nicely done, Jean. Your images are making my mouth water. I’m with you about prop obsession. Sometimes I think it’s become a sickness with me. I crave props! Home Depot and the like have tons of options. Another nice trick for achieving some weathered texture on wood is to spray water on it to really get it wet, then let it dry in the sun (do this on a warm day). The grains of the wood become slightly raised and sometimes pattern colored, giving it a nice texture when you’re doing tight, close-up shots. Also, wood staining and combining the colors make for gorgeous surfaces. Your photos are gorgeous. I keep wanting to get wood planks but I have no idea what to buy or if there are sizes. I need more props big time. I have lots of plates and glassware but am sadly lacking backdrops and fabrics and planks. I am also in need of a new camera. I am still using my easyshare, lol. Your carnitas are incredible. I would have gobbled them up so fast I would not have even had time to write on the board. Kim, Home Depot has various sizes to choose from. I got planks of two different widths, both were 6 ft long and I had them cut to size. They will do this for you for free. I have also been eyeing the picket pence pieces. They are a bit shorter and thinner and I imagine they would work well, too. So many options! OCD much 😉 Thanks for sharing these tips, Jean – I’ve always shopped more for housewares than other stuff but haven’t started painting boards different colors, yet. Your photos and styling have always inspired me and I can’t believe you just started shooting in Manual! 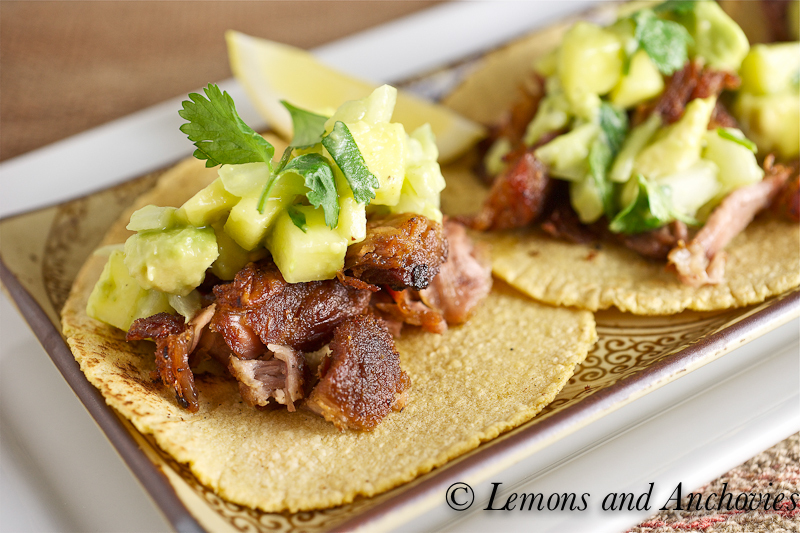 Carnitas are my absolute fave – must make them now. Priscilla, I’m OCD very much, LOL! I should probably curb the wood painting a bit but I’m having fun experimenting. It’s funny, until the blog, I haven’t shopped much for kitchen items because I didn’t think I needed any more but I guess I justify the prop purchases now by saying that I have found myself using them even away from the blog. It’s just that everything is mismatched! Great photos and the Carnitas look amazing! I’m hungry now! Your photos are and have been stunning! I am horrible at plating food so I need to work on that…a lot! The tacos look amazing. I always order carnitas at our favorite Mexican restaurant. I think your suggestions of a hardware store is fantastic. I never thought of making my own like that…I am not that crafty. Hi Sweet Jean, thanks for your kind thoughts. Your photos are always amazing and I need to think of these things more, they really do make a difference. I’ve never thought of getting props at the hardware store, but I will see that stuff in a new way. I’m still trying to break the manual habit and I haven’t had any good light in a while, but I think it’s the hope that we will get that stunning shot the next time, that keeps up coming back. Or maybe it’s just because we are ready to eat something yummy again and again. Hope you had a great weekend. Looking forward to seeing you again soon. Since becoming a food blogger, I too have developed quite the housewares obsession. My husband shakes his head, but I always remind him that it could be worse. I think my new obsession may becomes these carnitas tacos. They look insanely delicious. Thanks for the great tip on the colored boards. I especially love the colors you pick (I like your taste!!). My husband made the boards before but I’m searching different kinds (hoping that I can “busy” somewhere, but so far no luck…maybe I need to do it on my own or ask him again). Your carnitas look delicious. I realized I haven’t had Mexican food for a while. Definitely this weekend! I love your food photography Jean! This is great information. I have not played around much with backdrops, etc. yet but it’s on my “to do” list. A trip to Home Depot is definitely in order. I know what you mean about shopping in the Housewares dept. Cost Plus is great too. They have lots of really nice, inexpensive plates, bowls, etc. I thought these were good, but not as good as I had expected. I thought they would have much bigger flavor.